4 Bdrm Detached Dwellhouse. Ground flr: Bdrm with ensuite. 1st flr: Kitch/Family rm on open plan. Lounge. Dining rm. Utility rm wc. 2nd flr: 3 Bdrms 1 with ensuite. Bathrm (CT Band - TBC). Garden. Garage. Parking. Fixed price £550,000 Entry by arr. Viewing contact solicitors. 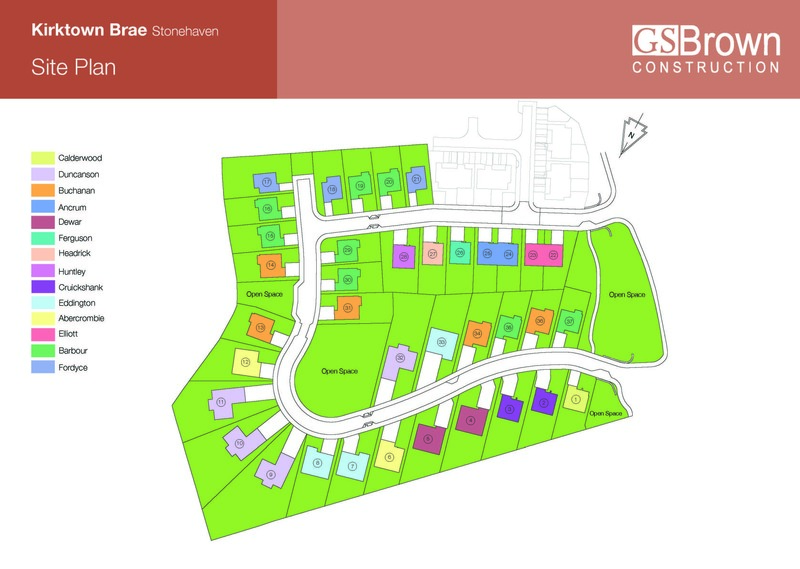 Located within the historical coastal town of Stonehaven, Kirktown Brae offers architecturally designed luxury homes, completed by renowned house builder GS Brown. 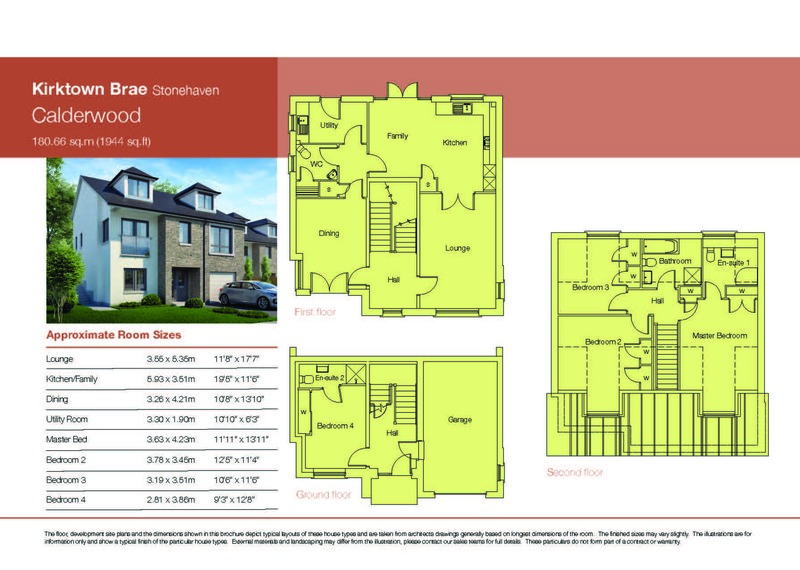 An exclusive development of mixed and varied family homes, Kirktown Brae really is the idyllic location to set roots and grow. With the award winning open-aired heated swimming pool, picturesque coastal walks, golf club and historic Dunnottar castle, Stonehaven has everything to offer and is only a short trip to Aberdeen or an easy drive South to Dundee. 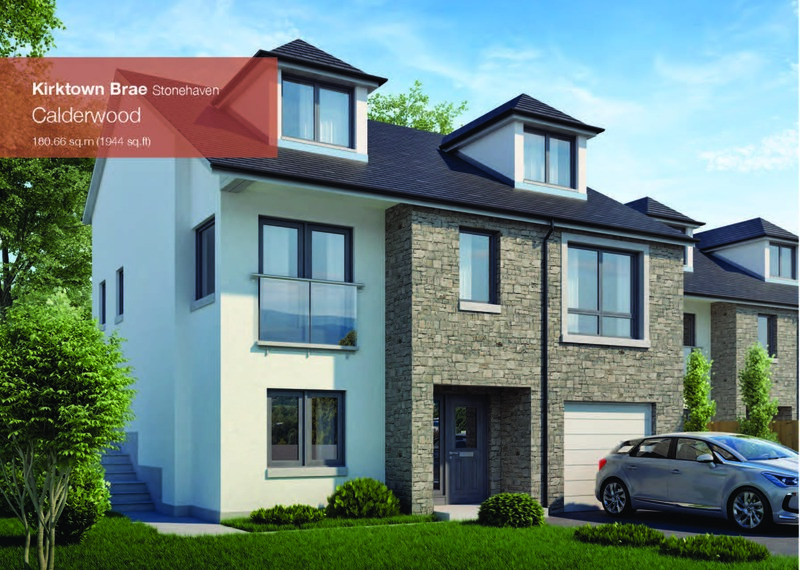 The Calderwood offers spacious, versatile family accommodation spanning 3 floors. Extending to 180sqm, the accommodation comprises a double bedroom with ensuite to the ground floor, integral access to the garage and stair to the first floor landing. A large open plan family kitchen opens to a spacious lounge, with separate dining room for formal entertaining. A utility room and W.C complete the first floor. Three further bedrooms, with master ensuite, and a family bathroom can be found on the 2nd floor. The garden will be turfed to the front with boundary fencing, while a monoblock driveway leads to the garage. 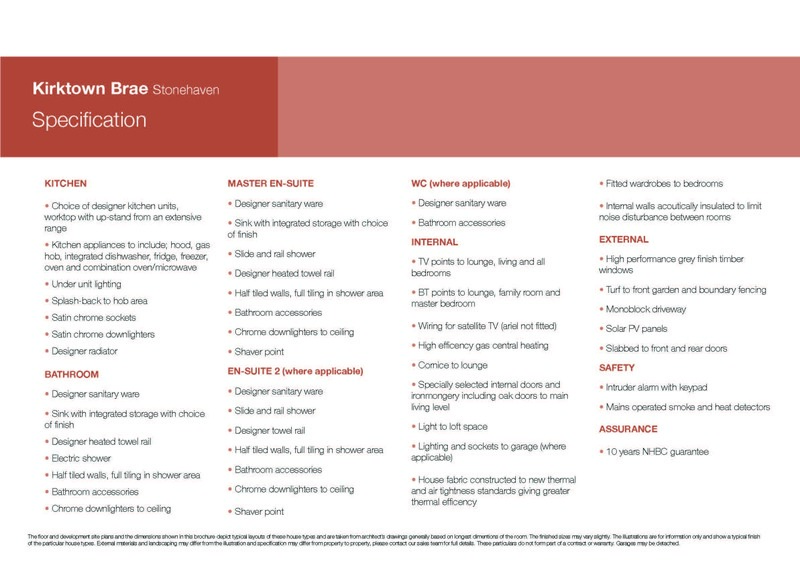 Stonehaven lies 15 miles south of Aberdeen, with excellent road and rail links, this vibrant community comprises the Old Town, picturesque harbour and the new town. A range of facilities and services are on offer, with excellent shops, hotels, restaurants, primary and secondary schooling and a medical centre, further leisure activities include the seasonal open air swimming pool.